We give you assured weight loss and gain programs . Also help in building a unique physique . Drop in and feel the heat \m/Captured in rich vibrant colours inspired by the South Indian culture, Novotel Chennai SIPCOT is a fine balance of tradition & modernity. Part of the Accor group worldwide, the hotel boasts of stylish & cozy interiors, quintessential rooms and a relaxing pool that ensure your stay is calm, comfortable and serene. 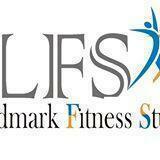 Landmark Fitness Studio conducts classes in Gym. It is located in Villivakkam, Chennai. It takes Regular Classes- at the Institute.